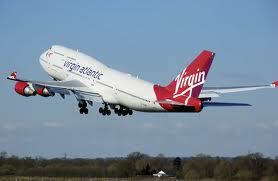 UK-based Virgin Atlantic has been named the top international airline in the Travel Weekly Readers’ Choice Awards. Among other award recipients, readers of the travel publication chose Delta Airlines as the best US-based carrier whilst Singapore Airlines was named as the best provider of first class and business class services. Meanwhile, readers recognised international hotelier Intercontinental Hotels Group for its properties in Asia and Europe, whilst Marriott International was named the best US hotel chain and Ritz-Carlton took the top position for best luxury hotel provider. In the destinations category, countries taking the top prize for best destination in a given region were Australia, South Africa, Italy and St Lucia, whilst Las Vegas was chosen as the best US city and Hawaii was named the best US state for travellers. Among cruise firms, readers voted Royal Caribbean International as the best for journeys in the Caribbean and the United States, whereas Celebrity Cruises was recognised as the best European Cruise firm. Travel Weekly editor-in-chief Arnie Weissmann said that the winners were the “finest” in the industry an added that many of the magazine’s readers were travel professionals that rely on the publication to have top expertise in the field to help them select the best services for their clients.